Start ‘em right! The very best favor you can do for your children is to get them their OWN library card. Even if s(h)e can’t read yet, children as young as five can be started off on a lifetime of the love of reading. The Taos Library has an excellent Children’s Library, under the fervent direction of Annette Montoya, who will be happy to guide parents, teachers, grandparents, in getting kids started with books. While this newsletter has been going through the Dewey Decimal System, beginning with the 100s in past months, this time we’re doing a special survey of books for children of all ages. Since, of course, there are several thousand books in all categories, we can only give a glimpse. Everyone has heard the tale of “Beauty and the Beast” or “Bella y la Bestia”. Dr. Lucille Gallegos-Jaramillo (Dr. G.) has again taken the liberty of telling her version of this story. The story will be told bilingually (Spanish and English). 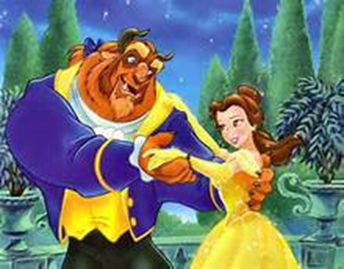 Come and meet Belle (Bella), the Prince (el Principe) and “the Beast” (la Bestia) on Thursday, December 12, 2013 at 10:30 AM. The story book reading and special craft will be held at the Taos Children’s Library and is offered FREE for audiences of all ages. We’re up to the 300s in our survey of the books in the Taos Public Library: Social Sciences. Originally Armistice Day; remembering November 11, 1918, when Germany and the allied powers halted the senseless slaughter that had left millions dead. Like all wars, especially the horrendous wars of the 20th century, the sorry story gave rise to some of the great novels: Ernest Hemingway’s A FAREWELL TO ARMS, e.e. cummings THE ENORMOUS ROOM, Dalton Trumbo’s JOHNNY GOT HIS GUN, to name just a few. But probably the most brilliant and poignant of them all was by the German Erich Maria Remarque: ALL QUIET ON THE WESTERN FRONT. This story of a small group of German soldiers is universal: they’re kids—none of them is yet twenty years old, and, if they cannot at the beginning articulate it, they know well they’ve been hoodwinked, robbed, swindled. Here is all the misery of the insane trench war—starvation, disease, unspeakable wounds, boredom relieved only by terror. …..”Then what exactly is the war for? ,,,,,almost all of us are simple folk. And in France, too, the majority of men are labourers, workmen or poor clerks. Now just why would a French blacksmith or a French shoemaker want to attack us? No, it is merely the rulers…. Look Who Also Showed Up On Halloween! Do you recognize this royal highness? Here's a hint: She has lots of treats for our youngest patrons. Who says librarians don't have fun? Cheryl, Shirley and I got in the Halloween spirit today. And what better place than the Taos Public Library - full of boo-ks! Deadline for art submission is November 1st, by 5 pm. Join the Taos Public Library and SOMOS this Saturday, November 2nd for the Taos Big Read kickoff! There will be free Mexican and New Mexican food, mariachi music, reading, coloring for the kids, and information about the month-long celebration of books and reading. 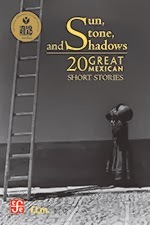 The first 100 adults will receive a free copy of Sun, Stone, and Shadows: 20 Great Mexican Short Stories. In the left most column is the number of times patrons used the library services described below with estimated retail values. The result is the savings to our patrons for utilizing library services in Fiscal Year July 1, 2012 - June 30, 2013. To determine Return on Investment: Cost to use Alternatives + expenditures paid directly back into community by the library (i.e. staff expenditures, janitorial, office supplies, etc.) divided by Total local Operating Funds. Neil Gaiman recently gave a lecture in London, for the Reading Agency. Gaiman makes a strong case for libraries, reading, and daydreaming. Excerpts from his lecture were in The Guardian. I found these quotes to be especially poignant during these challenging times of library closures or library hours being cut. "But libraries are about freedom. 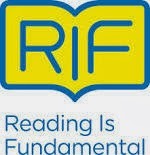 Freedom to read, freedom of ideas, freedom of communication. They are about education (which is not a process that finishes the day we leave school or university), about entertainment, about making safe spaces, and about access to information." "I worry that here in the 21st century people misunderstand what libraries are and the purpose of them. If you perceive a library as a shelf of books, it may seem antiquated or outdated in a world in which most, but not all, books in print exist digitally. But that is to miss the point fundamentally. I think it has to do with nature of information. 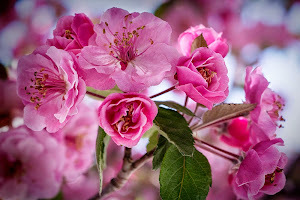 Information has value, and the right information has enormous value." "Libraries really are the gates to the future. So it is unfortunate that, round the world, we observe local authorities seizing the opportunity to close libraries as an easy way to save money, without realising that they are stealing from the future to pay for today. They are closing the gates that should be open." "Libraries are places that people go to for information. Books are only the tip of the information iceberg: they are there, and libraries can provide you freely and legally with books. More children are borrowing books from libraries than ever before – books of all kinds: paper and digital and audio. 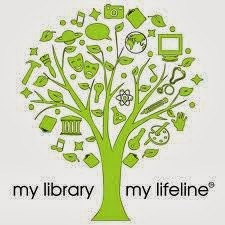 But libraries are also, for example, places that people, who may not have computers, who may not have internet connections, can go online without paying anything: hugely important when the way you find out about jobs, apply for jobs or apply for benefits is increasingly migrating exclusively online. Librarians can help these people navigate that world." "We have an obligation to support libraries. To use libraries, to encourage others to use libraries, to protest the closure of libraries. If you do not value libraries then you do not value information or culture or wisdom. You are silencing the voices of the past and you are damaging the future." Last Book Sale of the Year, This Saturday! Literary treasures await you at the Friends of the Taos Public Library last book sale of the year. Movies in video cassette format will also be available for purchase. 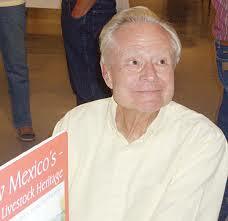 The sale will be at the Taos Farmers market Saturday, October 19th, from 8:00 am-1:00 pm. Confused About New Health Insurance Exchanges? -Overview from the New York Times. Don't hesitate to stop in at the library reference desk if you'd like assistance with getting information on New Mexico health insurance exchange. Support your local library! Join us for coffee and half off specially priced books! Saturday, October 12, from 10:00 am to 2:00 pm in the community room. With looming budget cuts, Taos Public library needs your support more than ever. Please join us on Saturday, September 28, 2013 from 3:00 PM to 4:30 PM to learn more about Citizenship and Immigration. The FREE Ask Immigration Forum will be held at the Taos Public Library, Library Community Room. 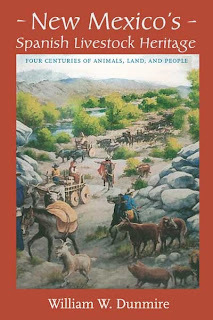 For more information please call the Taos Public Library at 758-3063. Book giveaway at the children's library on Wednesday, Oct. 23rd, from 10:00 am-4:00 pm. 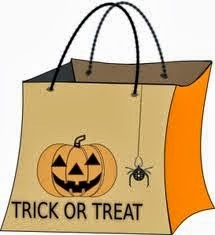 First 80 children will receive a treat bag! Besides computer access, periodicals, reference materials, interlibrary loan and a place just to be quiet and read for awhile, your library offers 63,000 books. You’re not going to run out anytime soon. We review one non-fiction book from each category, and one novel. We urge you, too, to browse—you’ll always find something provocative—and certainly something you didn’t know was here. The 200s are books on religion, and our library has over 250 titles, including many on Islam, a subject many of us are either ignorant of or about which we’re misled. Also, of course, books on all the other religions of the world. Bestselling Author Cheryl Strayed's Half-Sister Found - Thanks To A Library Book! In case you missed it, Cheryl Strayed, the bestselling author of the memoir, "Wild," was recently contacted by her long-lost half-sister. The sister recognized that they shared a father from Strayed's description of him, even though he was not named in Strayed's book. That's pretty cool as it is. But did you know that this serendipity was thanks to a public library? Our library has, in addition to reference materials, periodicals, computer access, DVDs, VHS, CDs about 63,000 books. Using the Dewey Decimal System of classification we’re giving you just a taste. (The Dewey Decimal System, incidentally, was not invented by philosopher John Dewey, but by librarian Melvil Dewey in 1876.) Each month, we’ll review a non-fiction book and a novel. For September, we’re up to the 100s—the big artillery, since this classification includes philosophy and psychology—names such as Plato and Aristotle, Freud and Jung, among others. If you want to stretch those brain cells, turn right upon entering the library and march to the last row. Bill Dunmire, author of six books on New Mexico, will speak and show slides from his latest book: New Mexico's Spanish Livestock Heritage: Four Centuries of Animals, Land, and People. Saturday, September 7th, 1:30 pm, in the Taos Public Library community room.